Is your training/racing nutrition plan optimized to keep you riding and running to our potential? Have you experienced cramping, dehydration, hyponatremia, gastric distress, or bonking during an tough training session or race? 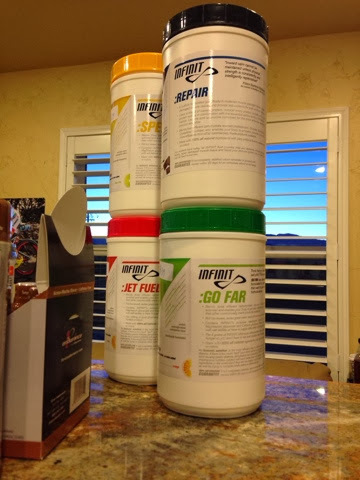 Infinit Nutrition is our favorite brand of endurance sport drink. In addition to their "stock" formulas, they are well known for their customizable options. With 7 variables to adjust, you can formulate a sport drink that is optimized for your calorie and electrolyte needs based on your sport, distance, body size and type, racing/exercise goals, and accommodate any potential metabolic limitations or restrictions you may have. 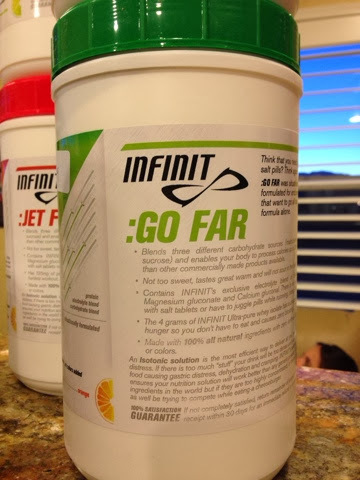 We have been using Infinite since 2007 and have vast experience helping athletes create their own custom sport drink. Using an optimized custom formulation will help you compete at your best by minimizing or eliminating gastric distress, cramping, and bonking during races and endurance events. 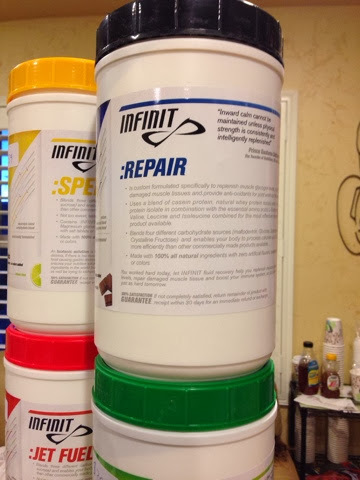 Start by trying out the "stock" Infinit formulas we have at the shop and we can help you customize and optimize your formulas from there. Stop by or call and we'll be glad to help you out.